The largest and most affordable Online Takashi Folding Bicycles Shop! Takashi Folding Bicycle shop the largest and most affordable! Do you want to buy a Takashi Folding Bicycle online? Hollandbikeshop.com has the Takashi Folding Bicycles you’re looking for. In 1966, Taiwan-based company Takashi started producing folding bicycles. They weren't sold often in the Netherlands, due to their low quality at that time. Several years ago Takashi changed direction. Collaborating with a Dutch importer, it developed new designs for high-quality folding bicycles. You don't want to overlook these Takashi Folding Bicycles! At Hollandbikeshop.com you can find a wide choice of Folding Bicycles by Takashi . These days, Oyama can rival companies like Dahon and offers good looking folding bikes for a nice price. Are you looking for a nice folding bicycle for recreational use? In our wide Oyama range on Hollandbikeshop.com you can find Folding Bicycles by Oyama in various colors, sizes and models. So you'll surely find the Folding Bike by Oyama you're looking for. 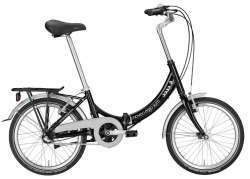 Hollandbikeshop.com is dealer of Oyama Folding Bicycles and has a large and affordable range. We also often have Oyama Folding Bicycles on sale or in our outlet, so keep an eye on our sale button. The largest and most affordable online Oyama Folding Bicycle shop!